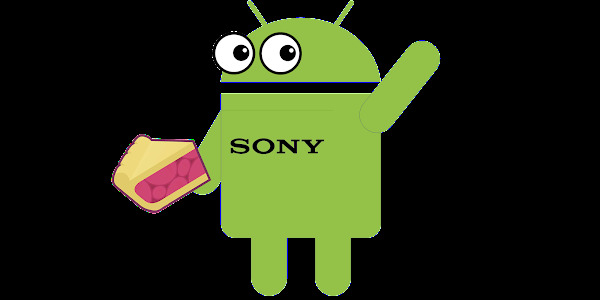 The Sony Xperia XZ Premium, Xperia XZ1, Xperia XZ1 Compact are now receiving the Android 9 Pie software update. The update was first expected to land back in October but had to be pulled due to bugs. The update is being pushed out OTA (over-the-air) and you will receive a notification when it is available for your device. Once you receive the update notification, make sure your battery is fully charged and that you are connected to Wi-Fi before installing the update. Android Pie brings several new features and improvements to the Xperia smartphones, including an Adaptive Battery which helps lengthen battery life, an Adaptive Brightness for your display, various security enhancements, improved interactions within notifications and an enhanced Do Not Disturb. Sony has chosen to leave out the gesture-based navigation with this update though. Besides these improvements from Android 9, the update also includes updates to the device camera, bringing 1080p super slow-motion. It also offers the October Android security patch. With this update, the Xperia XZ Premium, Xperia XZ1, and Xperia XZ1 Compact join the already updated Xperia XZ2 and Xperia XZ2 Compact on Android Pie. The Xperia XZ2 Premium should receive the newest version of Android later this month. The Xperia XA2, Xperia XA2 Ultra, and Xperia XA2 Plus are scheduled to be updated to Android Pie on March 4th.